The menopause is not a disease. It is a natural progression in a woman’s life. While some women sail through this transition period with no great difficulties, for others the menopause can be a hormonal roller-coaster and a particularly unpleasant time. The good news is that Homeopathy has a wealth of support to offer women looking for natural relief of the many distressing and disturbing symptoms often experienced during the menopause. The menopause occurs where menstruation ceases for a period of 12 months most commonly between the ages of 45 – 55 years old. Symptoms such as hot flushes can cause huge emotional distress, undermine confidence and affect a woman’s quality of life. Night sweats can mean endless nights of tossing and turning, with bedcovers on and off wreaking havoc with sleep patterns, affecting moods, energy and concentration. For some the emphasis may be on, or include symptoms such as mood swings, vaginal dryness, low libido, joint muscle aches and pains, fluid retention, weight gain, breast tenderness, forgetfulness, headaches, heavy or prolonged periods, thinning hair, brittle or poor nail condition and poor skin tone. If you are experiencing menopausal symptoms like these and would like to see if Homeopathy can offer you a natural solution, why not book a Free 15 Minute Clarity Call to see if I can help you. While some women opt for traditional prescription drugs or HRT which has become quite controversial in recent years, more and more women are turning to holistic forms of healthcare such as Homeopathy. In working with a woman’s natural rhythm and allowing the ageing process to occur naturally, rather than using drugs to alter the changing hormone cycles, homeopathy can offer help with both the physical and emotional symptoms in a gentle and effective way without the risk of side effects. As each women’s journey through the menopause is unique, and due to the complex nature of the symptoms that can be experienced, an in depth consultation takes place to help devise an individualised treatment plan. For example in relation to hot flushes, two women may experience completely different symptoms. Hot flashes may be sudden or gradual, occur only during the day or at night or at certain times throughout the day. Accompanying symptoms may include palpitations, throbbing headaches or strong emotions. The heat flushes may move upwards or flow downwards, some may include perspiration on none at all and different parts of the body may be affected. A history of poor diet and stress may have a bearing for one woman, while a history of synthetic oestrogen and progesterone (found in the Pill and HRT) may be more prominent for another. This information along with a history of general and emotional health allows the homeopath to prescribe a suitable remedy to support natural self-healing of the female hormonal system in a non-invasive way. 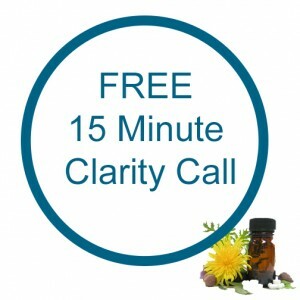 Please feel free to book a Free 15 Minute Call with me or if you are ready to start, book your first appointment here. You can read the full details of four studies that show menopause symptoms improved significantly using Homeopathy here, and below is a snapshot of the findings. Researchers at the Tunbridge Wells Homeopathic Hospital 79% of the women enrolled in the study reported a reduction in both the severity and frequency of hot flushes as a result of the treatment. In a prospective study 81.4% of 102 patients reported improvement of menopause symptoms after homeopathic treatment. Main symptoms noted were hot flushes and sweats, tiredness, anxiety, sleeping difficulties, mood swings and headaches. Women referred to homeopathy were those who either could not take hormone replacement treatment (HRT), for whom HRT was unsuccessful, who did not want or who had to come off HRT. Would you like to feel radiantly healthy through the menopause? Homeopathic treatment along with a balanced diet and exercise offers a positive choice for women seeking an alternative to help in minimising distress during the period of menopause. If you would like to find out if I can help you get relief from your menopausal symptoms, you can book a Free 15 Minute Clarity Call here.